Whatsapp gets all the attention, but Telegram has a lot going for it too. This messaging app features full end-to-end encryption and a modern material theme. 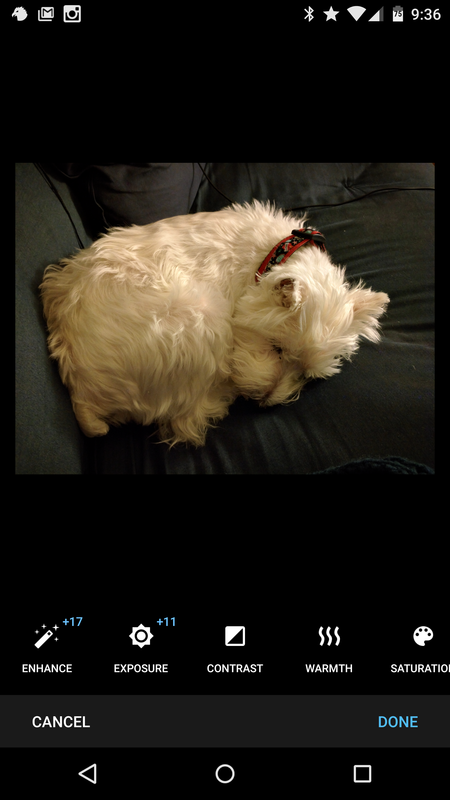 As of v2.5 it also has a photo editor and optional passcodes for improved privacy. Here's the full changelog for v2.5. 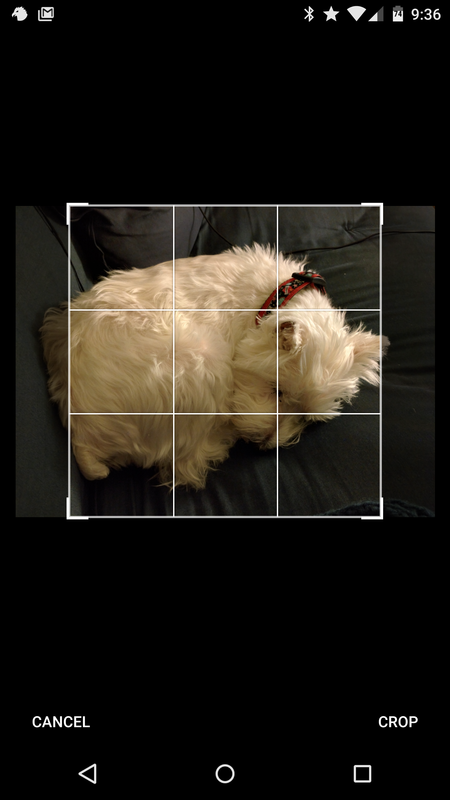 Crop and automatically enhance photos before sharing them. 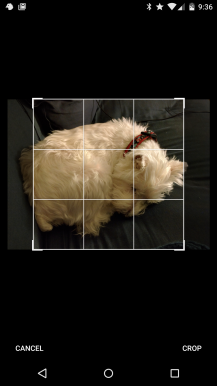 Use Photoshop-class granular controls for brightness, contrast, sharpening and much more. Choose an additional PIN or a longer password to lock your app. 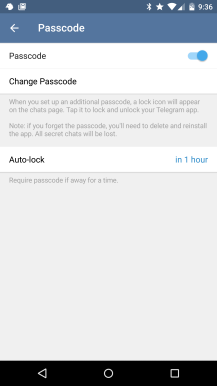 Lock app manually from chats screen or enable auto-lock after a period of inactivity. I don't know if I'd say the editing tools are "Photoshop-class," but they do work quite well. You've got brightness, contrast, grain, and a ton more. 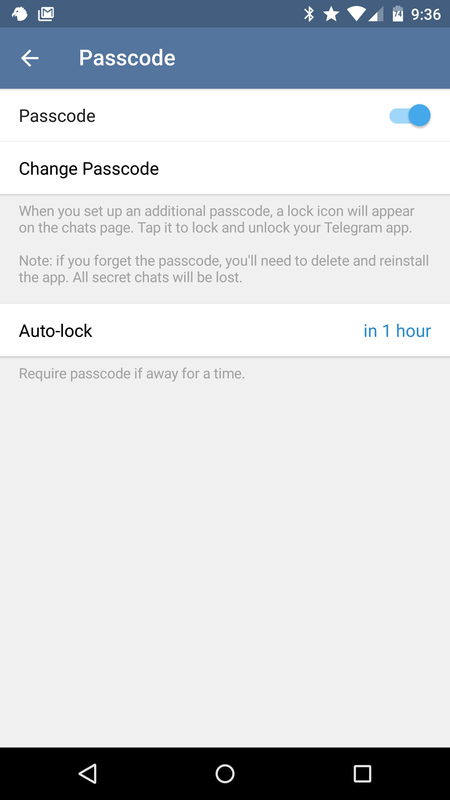 The passcode feature is straightforward—pick a code and set the auto-lock time to keep your chats secure. 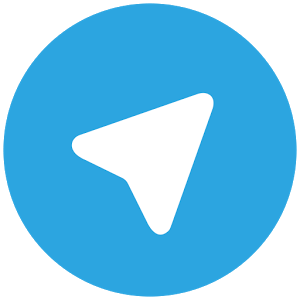 Telegram is free and doesn't contain ads of any kind.